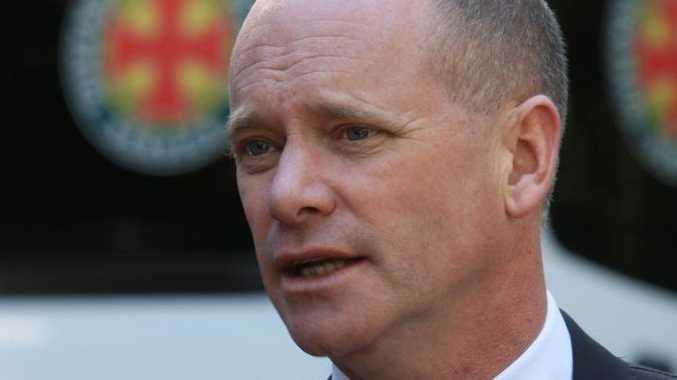 ALMOST half of Queensland voters in a new poll believe Premier Campbell Newman has "gone too far" in his initiatives to reduce the state's debt. Another 33.2% think it is too early to tell while just 14.8% believe he has not gone far enough. The premier copped a battering in the Nine News Brisbane poll, which asked 1131 Queensland residents five questions. About 27% of survey respondents rated Campbell Newman's performance as premier as "very poor", though an almost equal number, 25.3%, rated him "very good". Respondents were split on whether the premier had "mostly kept his election promises so far". When asked who they would vote for if a state election was held today, 44.2% chose the LNP, 31.6% Labor, 9.6% would vote for Katter's Australian Party and 9.2% the Greens. About 46% said they were less likely to vote for the LNP based on the premier's performance, but 32.6% said they were more likely to vote for the LNP.